« Crossword puzzles for the summer at just € 0.50! 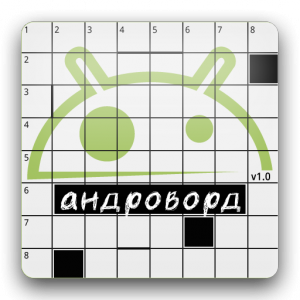 With great pleasure we announce the publishing of “Андроворд”, the Russian version of Crucidroid. The game is available in Google Play in the paid version and the free one (freemium mode with a reduced number of schemes). The paid version allows to play with more than 300 russian crossword puzzles, released in time, divided into various types of schemes – classic and without blocks for now – and in different difficulty levels. As with the original version, will be available all the features that have made Crucidroid one of the most complete puzzle games for android smartphones and tablets dedicated to crosswods now available in the Google Play: many options, from the filtering schemes’ system to the online chaed, the sharing of definitions and scores, the aids (revealation of words and letters) and much more. The paid version of “Андроворд” is in launch offer at only € 0.50, a news that we hope will please all our Russian friends! Print article This entry was posted by Diegroid on 16 September 2013 at 20:13, and is filed under Press Release, Games & Apps. Follow any responses to this post through RSS 2.0. You can leave a response or trackback from your own site.